A Wall Street Journal investigation has found that when it comes to purchasing the ad space that sits above Google Search results, Google itself is one of the biggest buyers. The company's products and those of its sister firms were found to appear in the most prominent ad positions almost every time. You’ve probably noticed how hard Google’s been pushing its Pixel smartphones since they launched last October. Ads for the handsets have been appearing everywhere, especially in the company’s Search results. 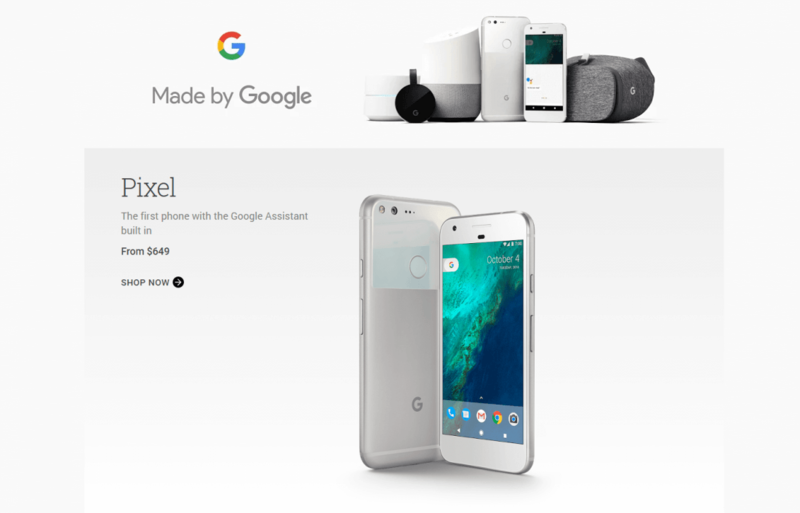 The WSJ found at the time of the analysis that 99.9 percent of all searches for ‘smartphones’ and ‘phones’ brought up “three consecutive ads” from the Google Store for the Pixel phones. Search-ad-data company SEMrush performed 1000 searches of 25 terms for the publication, using a desktop that blocked past browsing history. The results showed that out of all 25,000 searches, Google and its subsidiary Nest appeared in the “most prominent spot” 91 percent of the time. Google stressed that when it competes for ads, other advertisers are charged as if it wasn’t bidding, so as to not directly inflate prices. “Google said that its ads only appear atop results because of the ad’s quality and the price Google is willing to pay. Google said its house ads are also subject to marketing budgets,” the Journal explained. Responding to the story, Google parent company Alphabet gave the following statement. Since the paper shared its results with Google in mid-December, many of the company’s ads have disappeared from the search results. A second analysis performed on December 22 showed that just 19 percent of the top ads spots were occupied by Google products. Google is still mired in its seven-year-long battle against EU antitrust regulators over claims it manipulated search results in order to promote its own comparison shopping services over competitors.